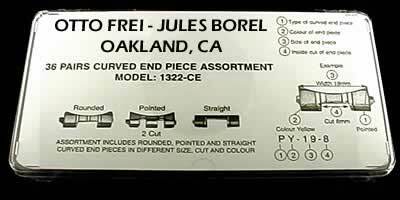 We can only supply the end links shown while the supply last. The Swatch Group which controls Omega has stopped supplying independent parts distributors and watch repair shops worldwide in 2015. 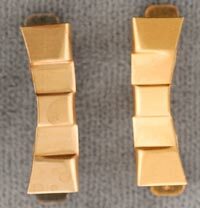 For the bracelet 1118/582 bracelet, which was found on case number 136.041, 165.041, 165.0041, 166.041, 166.0041. 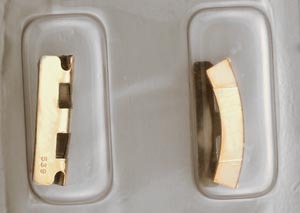 Does not fit the 3011-000 bracelet which replaced the 1118 bracelet. 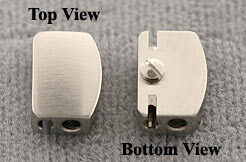 End link fits 18 mm case lugs, the end link has a single 5.5 mm center cutout for bracelet link to fit into. 13 mm. 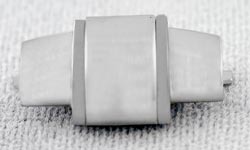 Fits bracelet 5707/000. 22MM. 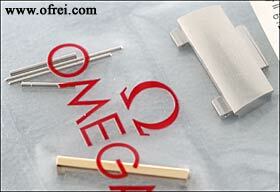 Fits Omega Bracelet 1202 and case numbers 196.038 and 196.0038. 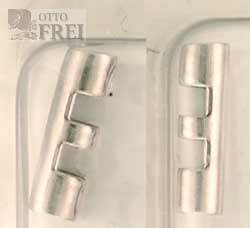 For bracelet 5707, curved 12.90 mm end link. One Only! 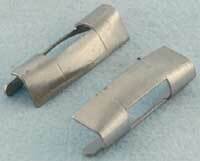 Stainless Steel 20 mm end link. 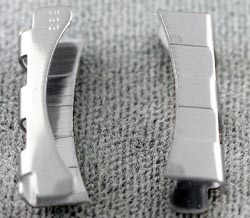 For Case number 396.1011, 18 mm wide. 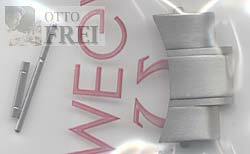 Fits Cases: 165.022, 165.0022, 166.022, 166.0022 Also for Bracelet 1040. 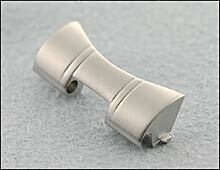 This bracelet end link is 19 mm but tapers down to about 16.5 mm next to watch head. 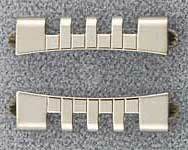 22 mm wide, fits bracelet 1170 on case numbers 166.092, 166.0092, 168.005. The Slot cut in center of end link 026ST626 is 9.8 mm. This 22 mm end link can be used with the 1171 bracelet which has a match 9.40 mm part to fit inside the slot cut out of the 626 link. Will also fit 3010. Exact mm sixe is 18 mm. 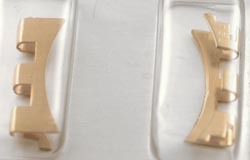 Sold as a single piece. Please order 2 pieces if you need a pair. 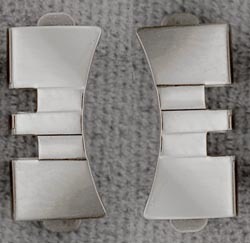 The photo allows you to see both sides of this special end piece, which uses 2 what Omega call case attaching pivots to attach the end link to the watch case. 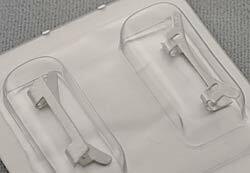 The Seamaster 1455/448 Case Attaching Pivot Part # OME-128ST0029 (need 2 pieces for each end link) is another Swatch product, which we are no longer able to supply. So, if you need a pair of these you will have to order 2 pieces. Yes, this is sold as a single end link for $64.00. 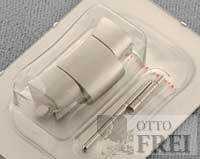 Yes, this is sold as a single end link for $64.00 and fit the 1503 bracelet. Sold as a single piece! 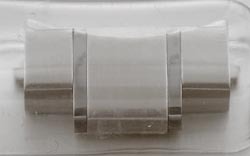 This is just a single end link used on the bracelet number 1998. 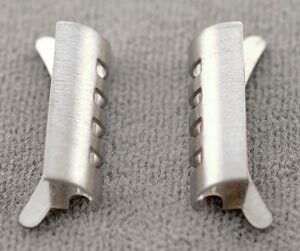 You will need to order 2 pieces if your needing 2 end links. 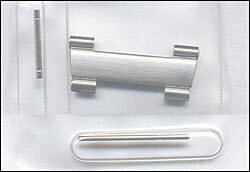 This is just a single end link used on the bracelet number 1578. Sold as a single piece! 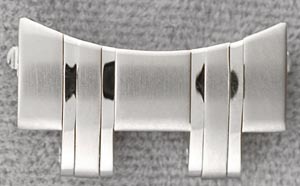 This is just a single end link used on the bracelet number 1579. 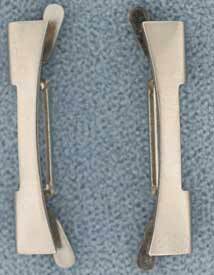 This is just a single end link used on the bracelet number 1581. 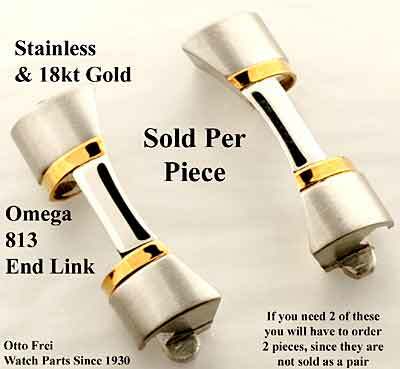 $72.00 for a single Omega end link! Order two if you need a pair. 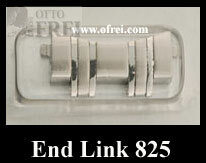 This straight stainless steel endlink fits Omega Bracelet #1173-000. Our young photographer didn't quite understand at what angle to take the photo, so from the above image you cannot see how the end link look. 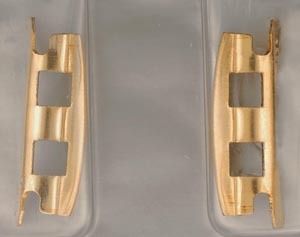 This endlink is sold by the pair. 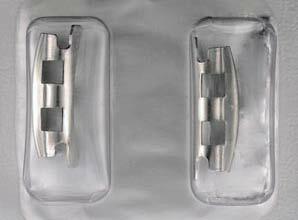 19 mm, Fits cases: 166.0247, 168.057, 168.0057, 168.064, 168.0064.